Along with the the rest of India, the India Posts Payment Bank will also be launched in Assam on September 1. 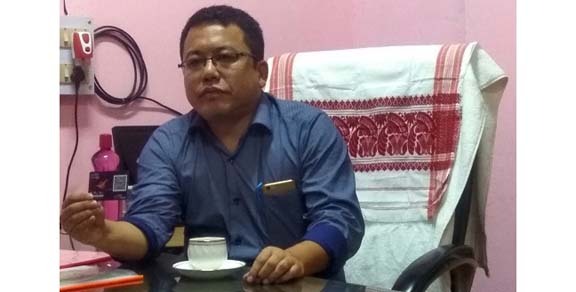 Addressing a press conference at Jorhat on Thursday, Dibrugarh-based post master general Som Kamei said that in Assam there would be a total of 26 branches and 130 access points. These include the Dibrugarh region where there would be 9 branches and 45 access points and in the Sivasagar postal division comprising Sivasagar, Jorhat and Golaghat districts, there would be three branches and 15 access points. Kamei said that in India, the number of branches opened were 650 and the number of access points is 3250. Kamei said that the India Posts Payment Bank was giving a digital platform to rural India and soon all the l.53 lakh post offices in the country would have banking services. “India Posts has the largest number of post offices in rural areas and these will offer payment services in villages, which is our target,” he said. To open an account which does not require minimum balance in the IPPB, one has to furnish the number of one’s Aadhaar card, PAN card and telephone number. After the verification process is over, one has to give an imprint of a finger following which the account number will be sent to one’s own mobile number. A QR card akin to an ATM card would be sent to the customer. There is no need to sign, give photocopies of documents or photos. The highest amount one can keep in the account is Rs 1 lakh and if one tops that the excess will automatically be transferred to the savings account in post offices. Kamei said that as this was a payment bank, the RBI did not permit giving of loans, however, the 4 per cent monthly interest would be given on the deposited amount. The USP of IPPB was that it would take banking to ones’s doorstep. One could withdraw and deposit money through the app which would be available on Google Playstore and a postman would take the amount from the house of the individual and deposit the amount or deliver the amount in case of withdrawal for a nominal Rs 10 or 15, depending upon the amount transacted and the QR card. All that would be required is the thumbprint and the machine would be carried by the postmen. “This feature would especially benefit the old and infirm. Though the app one could also pay utility bills,” Kamei said. The IPPB would be launched by Prime Minister Narendra Modi in Delhi on September 1 and for Assam, Chief Minister Sarbananda Sonowal would launch it in Guwahati, Union Minister of State for Railways Rajen Gohain in Nagaon and Jorhat MP Kamakhya Prasad Tasa in Jorhat.